March 2015 Scripture: “He spake by the mouth of his holy prophets, which have been since the world began” (Luke 1:70). Place the following pictures on the board: President Thomas S. Monson, Joseph Smith, Isaiah, John the Baptist, and Nephi. Ask the primary children what all of these men have in common? Explain that each of them are prophets and each of them testified of Jesus Christ. 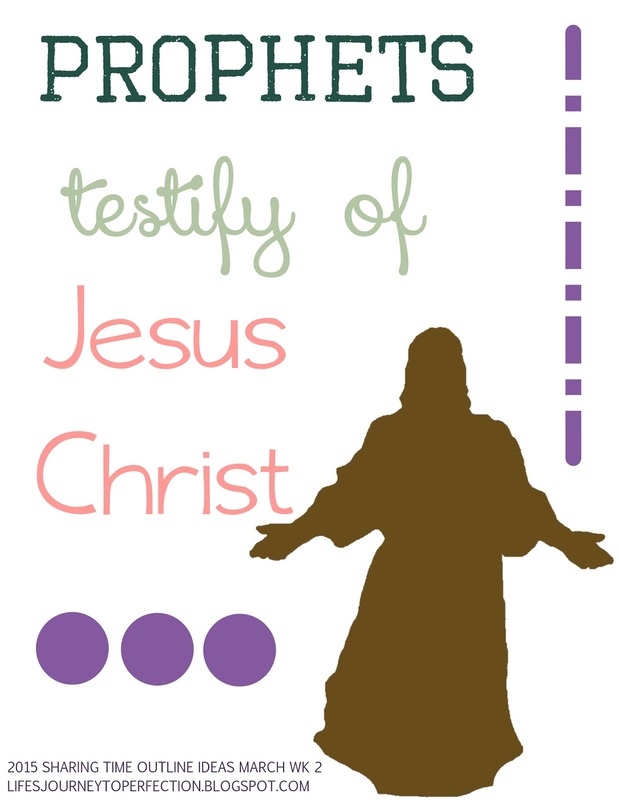 Show the children the week's theme poster and invite them to repeat with you, "Prophets testify of Jesus Christ". 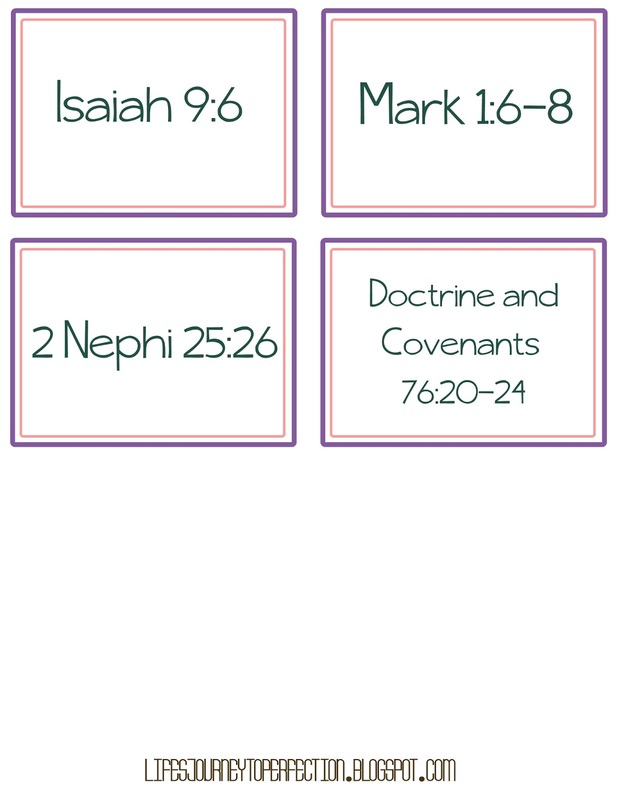 Give each class a scripture (See printable above). Invite them to read the scripture as a class and to decide on what that prophet prophesied about Jesus Christ. Then invite a representative from each class to come up and draw a picture of the thing prophesied about Jesus, while the rest of the primary guesses what they are drawing and which prophet prophesied it. Then discuss each one. Doctrine and Covenants 76:20–24: Prophet: Joseph Smith; Prophesy: Jesus Christ is the son of God and He lives. Explain that our current prophets also testify of Jesus Christ. Play the following video: He Lives: Testimonies of Jesus Christ. Thank you for this lesson! I didn't see your link on Sugardoodle as usual, and I was struggling this week with pulling this lesson together. Your lesson plan helped me to click it all together! Thank you for your great posts--I use your sharing time ideas a lot! Thanks so much Kristi for your comment! It's kind of hit and miss with Sugardoodle. She is super busy, so sometimes she'll share my stuff on there and sometimes not :) I always send them over though. I am glad you were able to find this site and it could help out! Thank you so much for this! I just happened across your blog and am so grateful I did. I can't wait to use this tomorrow! ❤️❤️❤️ Love the help! Many thanks! Thank you so much for the free printables. I love having something so nice to hand out. I'm doing Sharing Time all this month, and I'm sure I'll be back for more ideas! Thank you so much for your sharing time ideas. They are so helpful. Any ideas for what the child could draw for the prophecy remission of sins through Christ? Thanks. Thanks for your comment!! I think for remission of sins they could draw baptism. Hope that helps.